In about AD 61, the apostle Paul wrote a letter to some of his friends in the city of Ephesus. He wrote the letter to help them understand some pretty amazing things about their relationship with God. He wrote this letter with the intention that it would be shared with other churches in the region so that they could learn too. The things he wrote to them hold true for us as Christ-followers and churches today. This letter tells us who we are in Christ, why that matters, and what that means about how we are to live life as followers of Christ, as a church family, and as part of the body of Christ around the world. First, a little background. 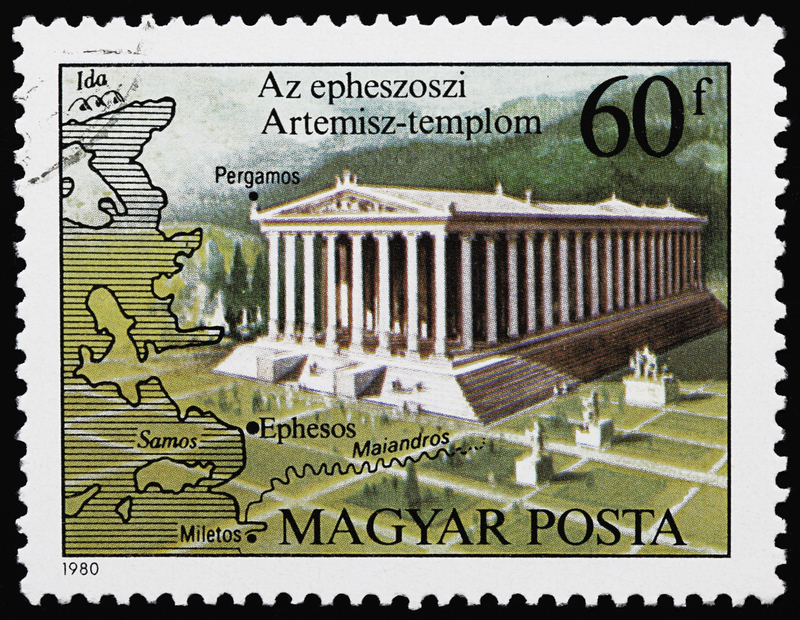 Ephesus was a very important city in the Roman Empire for commercial, political and religious reasons. It sat at the crossroads of important land trade routes and sea ports. Ephesus boasted an outdoor amphitheater that seated 25,000 people, and a stadium that was used for chariot races and sport fighting (animals vs animals, and animals vs people). A prominent feature of the city of Ephesus was the temple built to the Greek/Roman goddess Artemis (aka, Diana). She was their goddess of fertility. This towering temple was 324 feet long and 164 feet wide (the size of a football field). 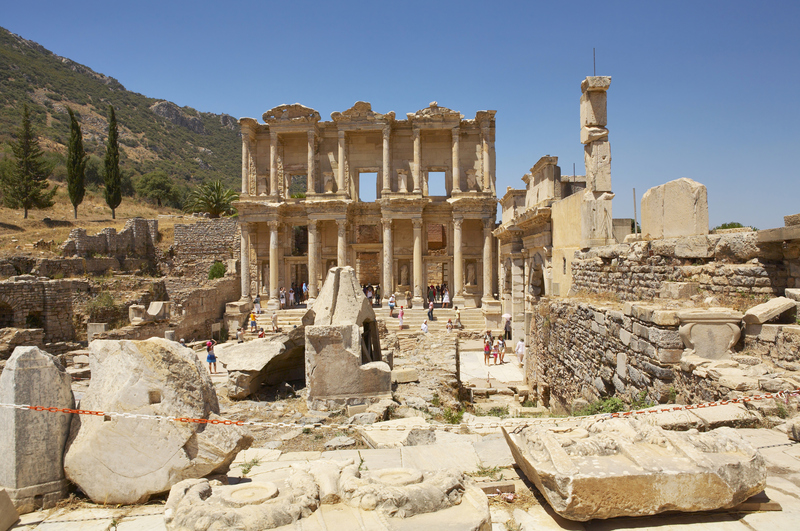 The temple was the heart of the identity of the citizens of Ephesus, and a source of much of the tourism (read: income) that came to their area – temple worshipers. When Paul left Ephesus, he appointed elders to lead the church. Later, Timothy served as their pastor. And still later, the apostle John spent some time ministering in Ephesus and writing. Three pretty good pastors/leaders through the years: Paul, Timothy and John. Let’s read a few verses, and learn from Ephesians 1 about who we are in Christ, and what we have in Christ. And let’s consider these reasons to give praise to God. DON’T MISS THIS: We should be aware of GOD and give praise to Him daily. I’m talking about lots of times throughout the day. He is worthy of our praise. And by praising Him, it will put our daily thoughts where they need to be and our circumstances in proper perspective. 1 Paul, an apostle of Christ Jesus by God’s will: To the faithful saints in Christ Jesus at Ephesus. 2 Grace to you and peace from God our Father and the Lord Jesus Christ. 7 We have redemption in Him through His blood, the forgiveness of our trespasses, according to the riches of His grace 8 that He lavished on us with all wisdom and understanding. 9 He made known to us the mystery of His will, according to His good pleasure that He planned in Him 10 for the administration of the days of fulfillment—to bring everything together in the Messiah, both things in heaven and things on earth in Him. Read over the list above. Reflect on the meaning of each term that describes who we are in Christ. Take your time going through the list. Are any of the terms new or confusing to you? If so, seek out a Bible dictionary or email me and I will help you better understand them. Which of the terms are especially meaningful to you in your walk with Christ? When you think of who you are in Christ, what is your response toward other people? Reflect on the meaning of each term that describes what we have in Christ. Take your time going through the list. When you think of what you have in Christ, what is your response toward other people? Phrase your response as a prayer to God, and ask Him to help you as you live out your faith, realizing who you are in Christ and what He has given you!